The Hara Museum of Contemporary Art is proud to present the first major solo exhibition in Japan by Cy Twombly, one of the titans of twentieth-century art. 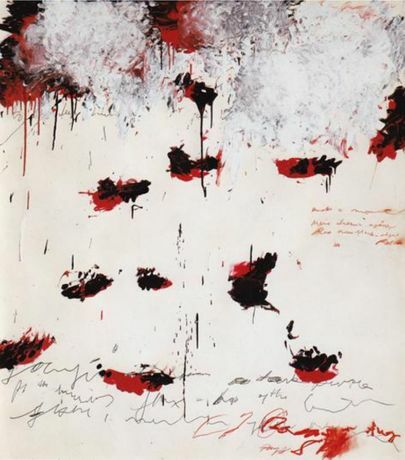 Featuring some 70 drawings, paintings and monotypes1 done on paper from 1953 to 2002, this retrospective spans 50 years of Twombly's extraordinary career. It was first held in 2003 at the State Hermitage Museum in St. Petersburg2 , organized by Julie Sylvester, the Hermitage's first non-Russian curator with Cy Twombly himself taking part in the selection of the artwork. 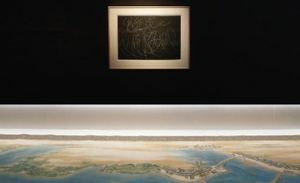 Although the artist sadly passed away in 2011, the present show was made possible by the cooperation of the Cy Twombly Foundation which participated in all aspects of its planning. Although Twombly is represented in a number of museum collections in Japan3 and has been featured in several group shows4, the relatively few opportunities to see Twombly's art in Japan make this present show a long anticipated event by Japanese audiences.